Sitting around my Thanksgiving dinner table always leads to some tense moments. In growing cities across the country this year, many people will be discussing housing security. At some tables, parents who wanted to be empty-nesters now make awkward jokes about having their 25 year-old living in the basement. Meanwhile at other tables, another set of parents may whisper worriedly about a loved one that remains in an abusive relationship because they need stable shelter for their child. I despise the acronym NIMBY–‘not in my backyard.’ Does it mean someone wants streets “swept” of people living outside? Does it mean someone is worried about tree canopy and parking spaces, leading to fights over the new microhousing project on their block? Does it mean someone is worried that without owner occupancy rules for “backyard cottages,” developer-run AirBnBs will take over their community? I believe that growing cities are all struggling against the selfish whims of NIMBYs. Many journalists have painted this as a generational squabble. In Seattle, that is not always the case. But I don’t think YIMBYs–‘yes in my backyard’–can fight back if we don’t know what motivates them. I want you to talk to your NIMBY parents and I want you to listen to them. As a YIMBY, pro-density advocate, I spend a great deal of time trying to understand my Seattle neighbors’ oppositions to growth and change. Some opposition to growing cities seems grounded in shared values that many of us can relate to. People are frustrated with their child’s overcrowded school. People are frustrated that their weekly visit to their grandparents takes twice as long as it used to, or their commute means less time helping their child with their homework. People get fired up when their favorite hang-out spot to buy beautiful plants for their perfect Seattle gardens is bulldozed. People freak out when their dive bar is threatened. People hold wakes for nuclear reactor buildings. People use storytelling to move legislators to create historic legacy registries for commercial spaces. Painting all these diverse groups with the label NIMBY just doesn’t work for me. We cannot make progress without understanding each other on a deeper level. Me with my “NIMBY” mom and nephew. I have weekly conversations with my mom who lives in Santa Monica, California. About a year ago, I began shifting the conversation to the parallels between density fights in Santa Monica and Seattle. I took it slow. I didn’t try to convince my mom that she was wrong. Progressives of her generation are proud of their strides towards a more just and inclusive world. They self-identify as liberal and donate their time or money to worthy causes. They are even ready to admit they don’t have all the answers. But when their little corner of the world and their routines are threatened, an irrationality comes out that needs to be treated with caution. I didn’t try to make her feel guilty for supporting an initiative that would trigger citywide votes for any building over 32 feet in her town. I asked a lot of questions about values. Did she want my brother and his family to be able to afford to live nearby? Did she want people to be able to walk to the grocery store or walk to and from their jobs? Why did she think that having a parking lot at the new Expo line station blocks from our house was the best use of limited space? Why did she feel it was undemocratic for residents to not know about each and every new development going up in her community? What were the arguments her friends used to mobilize her to show up to fight a low-income housing project for victims of domestic abuse? I asked lots and lots of questions. I did a lot of listening. I respectfully disagreed when I felt like I could make a succinct argument that aligned with her values instead of telling her that her basic values were wrong. Recently, I sent her a copy of Walkable City: How Downtown Can Save America, One Step at a Time by Jeff Speck. She loves it. If I had sent that book to her a year ago, she wouldn’t have been ready. Look for an organic opening. Celebrate your shared vision of the future. Connect the struggle for walkable, affordable cities to struggles your parents advocated for when they were your age. Be open to not winning every discussion. Don’t use data if there is an anecdote that tells the same story, (unless your parent is a wonky engineer and gets fired up about data). An important aspect in this YIMBY struggle is being patient and waiting for organic openings. It is frustrating for those of us who have come to this YIMBY fight from a desperate feeling that more must be done to halt climate change to realize that it might be useful to more patiently advocate for dense cities. A lot of this anger and frustration about destroying our planet is redirected at single-family homeowners who refuse to share the city. Anger is useful. It gets me up in the morning. I just don’t think my anger is going to win people over to declare themselves YIMBYs–and it can certainly ruin a Thanksgiving dinner! Urbanists should take the opportunity to engage positively on these issues with their families: listen to their concerns, ask about their needs, and highlight mutual self-interests to work towards a more affordable, inclusive, and welcoming future for our cities. 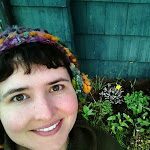 Laura Loe (Bernstein) is an educator, musician, and gardener from Colombia/NY/LA/Chicago who has lived in Seattle since 2009. Her writing has appeared in Data for Progress, The Urbanist, The Seattle Globalist, South Seattle Emerald, and International Examiner. She is passionate about womxn urbanist voices, climate justice, community ownership, equitable community development and renters' rights. Laura founded Share the Cities with like-minded folks and performs civic matchmaking that leads to unlikely allyships. She tweets as @sharethecities and @lauraloeseattle and is supported by 90 monthly patrons on Patreon. I am curious about whether you have children? Also, YIMBYism can result in a decline of net worth as people are aging and concerned about how to financially save for future living expenses and care? Do you think the government owes compensation for loss that can result when zoning or other ordinance changes take place that detrimentally impact the value of property owners who relied on the zoning assigned when they bought their property? And do you understand that short term rentals can remove affordable housing units from the marketplace. By and large the kinds of zoning changes being advocated for by YIMBYs do not had adverse impacts on the value of real assets held by enfranchised residents and landowners of areas receiving upzones aside from increased property taxes due to increased land values. First, embrace your favorite NIMBY and be happy those people stood up for you and others in your neighborhood. Second, imagine what would have happened if those NIMBYs hadn’t stood up and kept politicians honest and fought for better policy. Third appreciate the fact that you didn’t grow up next to a nuclear power plant or a freeway, or a refinery because a NIMBY stuck their neck out for you. Fourth, get off your high horse and listen to what your favorite NIMBY is saying and maybe why the urban forest might just be good for the mental and physical well being of your children. Fifth, fight for those same privileges you enjoyed for others. Sixth, remember that the term NIMBY was coined by the same powerful, self-serving and well-financed interests that you are fighting against in an attempt to discredit people for sticking up for their communities. Excellent post, I couldn’t have said it better. Thank you. What a great article! I particularly like how Laura highlights that NIMBY is often used as a catch-all for a very diverse group of people with many different concerns motivating them that need to be addressed.